It’s Distribution Week here on The Cranky Flier. Yesterday I wrote a brief history of how airlines sell tickets. Today it’s time to talk about how they’d like to sell them. Then Thursday we’ll look at why this is so slow to take shape. Airline tickets have been sold pretty much the same way for years, but with changes in both the way tickets are sold (fees) and the technology out there, you’d think it would change more quickly. But really the last big innovation was the price matrix showing stops and prices by airline that came out more than a decade ago, and that’s not even that helpful anymore. I spoke with Cory Garner at American about the airline’s future strategy, but American is not alone here. Airlines have all been trying to come up with better ways to sell tickets. This particular vision would impact people who buy directly from the airline or through a travel agent (corporate/retail/online), but the way it would be presented could vary from channel to channel. Today we’ll focus on what it might look like if you bought through an online travel agent (OTA) just to make it easier to explain. Considering how fees play into the equation today, that is an obsolete way of looking at things. What’s more, each person has different preferences and those aren’t part of this comparison process at all. This is why when I asked fee-king Spirit Airlines CEO Ben Baldanza about his sales through online travel agents (OTA), he said that the airline had about 25 percent of sales and 100 percent of complaints through OTAs. That’s because when you buy on Spirit’s website, you know that there are carry on fees, seat fees, etc, before you give your credit card. You don’t know that through online travel agents today. This becomes even more complex because depending upon the status you have with the airline, you might be entitled to different things. And today that isn’t incorporated into third party systems so travelers lose out. The same thing happens with traditional and corporate travel agents. Some think the answer is to have the government force the airlines to file all their fee data through the central fare filing clearinghouse so the Global Distribution Systems (GDSes) that power the OTAs can have everything available. That doesn’t make sense to me since it should be up to the airlines to decide how much information to provide to each partner that sells travel. And besides, the airlines are working on something different anyway that would make this less important. Today when you go to an OTA, it’s the GDS that’s doing the heavy lifting. As described in yesterday’s post, the GDSes take the fare and schedule information and then compare it to availability to push out offers to you directly or to your travel agent. But what some airlines like American would rather do is change where that processing occurs. They want to get the request from the GDS or even directly from the travel agent using something usually called “direct connect.” Regardless of where the request comes from, it would come in and the airline would do the processing, sending back options. The airline likes this for a few reasons. If the frequent flier information is provided, then the airline can use the preferences in the account to tailor results or make a special offer to you, the traveler. If what’s presented is more attractive than what you see today, you’re more likely to go with that airline. Second, it also allows the airline to offer prices that are hopefully matched better to the demand that’s out there. In the long run, airlines could make small incremental pricing changes instead of using the “bucket” system they use today. And as a final, and large, benefit, this would reduce costs for the airline. Let’s take a walk through this so you can see what I mean. Meet Sam. Sam is a Chicago-based small business traveler who books his own travel. He flies enough to have Gold status on United and American. Sam likes to book his travel through an OTA because he can store all his personal information there. Let’s say that both United and American have successfully implemented their direct connect options either with this OTA or with the GDS that the OTA uses. The upshot is that the OTA can show fares and options on all airlines, some via the direct connect and some through traditional channels. So, Sam wants to take one of his usual trips to LA and he goes to his OTA to check on options. If Sam doesn’t log in, then it will just spit out the generic pricing that is made available for everyone. 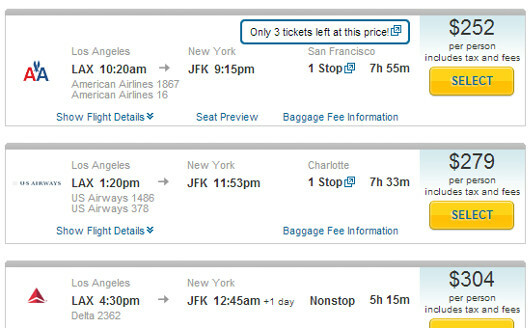 This pricing will be current at the time its offered and it will come directly from the airline. Sam will still see a bunch of flight options in front of him. Then when Sam clicks on each option, he’ll be able to see a menu of which ancillary services are being offered and he can pick and choose the ones he wants. He’ll just pay once when he checks out. But where it gets more interesting is when Sam logs in. This OTA stores his frequent flier information for him, at his request, so when it sends out for pricing information, it will provide that frequent flier number to United and American. They will see that and return the offers that apply to him. So if he pulls up the flight on American, it will show he gets a free bag because of his status with the airline. There’s no more guessing about what applies and what doesn’t. Naturally, there are a lot of objections to this kind of process. I heard an earful of them from a GDS itself, Sabre, when we had a call about this subject. Clearly Sabre isn’t a fan of this plan, but we’ll talk about that tomorrow. So let’s go though some of the more common objections. 3) If an airline knows I’m loyal, they’ll just charge me more if I log in – This is a scary thought, I agree. But it would again be suicide for an airline to play this way. Why? Because people aren’t stupid and they’ll find out very quickly if an airline is penalizing people who log in. (Remember when it was thought Delta was playing that game?) When that happens, nobody will log in anymore and the airline will have screwed itself. I’m not saying it can’t happen, but if it does, it will end in disaster for the airline. 4) Fares already change quickly enough, this will be worse – That’s another of my concerns, and the one that I’m least confident will be addressed. Buying a plane ticket is a big investment, and so it’s not something that you’ll just jump on right when you see the price. Today, travel agents can hold reservations, though fares are never guaranteed until purchase. Still, the expectation is that it usually won’t change in an hour if you have the seats on hold. (That’s not always the case, but usually.) 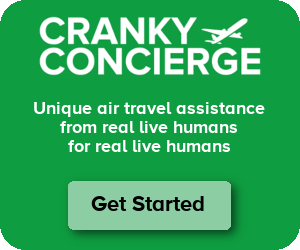 So in this new system, if the airlines are free from any sort of constraints limiting fare changes, then you could never pin anything down until you finally purchased. That is extremely unfriendly for travelers. I would hope that airlines would allow you to lock a fare for a short time, just so you can confirm things. But that’s a business decision that will have to be made if this ever goes into effect. Personally, as long as an adequate solution can be found for number 4, I’d love to see a system like this, even if I don’t think this kind of dynamic pricing will be ready anytime in the near future. But much of the rest of it is ready today. This system, however, can’t exist in a vacuum. And that’s why it takes so long for it to happen. The plan is to discuss why it’s not happening more quickly on Thursday. There will never be a good simple way to buy a ticket when there are so many different things that must be decided before buying that ticket. As you said one airline could offer you a lounge pass and the other a lower fare, so now you have to decide what is better for you on that trip. Overall if you know what airline you want to fly, and many people do, it seems better to just use their website and see everything they have to offer. This might be more pertinent to yesterday’s thread but I’ll ask here anyway. Why do the GDSes not have their own OTAs? Since they have the information everybody needs in the first place, why not have their own user interface and cut out the fees associated with travelocity, expedia, etc.? I should have known that! I don’t understand why airlines don’t allow consumers to resell tickets. The airlines could setup exchanges where they take a 20% cut of the sale and everyone wins. This may not be so great for the consumer. Companies (like ticket brokers in sports) would buy up large quantities of tickets on popular routes (this could force fares upward) and then resell these tickets at a higher cost. This could result in less availability and higher overall fares that customers have to pay. Certainly would be an issue – but what if you made this “marketplace” available only to those with frequent flyer membership? Or it could be one more perk available to those who buy the affiliated credit card? And what’s to keep the ticket brokers from signing up for a frequent flyer account (free) or an affiliated credit card (a relatively low “cost of doing business”)? If it were just frequent flyer – then it would be hard. But if it were part of a credit card perk I’m pretty sure that they couldn’t get a hold of enough SSNs to make it work. Well, because it affects their ability to sell more pricey tickets … and 20% of a non-ref fare is a lot less than a last-minute business trip ticket !!! Plus, if they create such an exchange facility, they simply can’t overbook (and they usually win big at this game) to maximise occupancy ratios !!! Why do the airlines want to change this?! They want to increase fares, plain and simple. They can fill their planes up with the current process. They just don’t like doing it when consumers can shop and compare. They want to break this up and make it next to impossible to do any fare comparisons. They say they can tailor offers by customer, sure for higher fares. The airlines don’t care one bit about making the shopping experience better, etc. they only care about raising fares and flying cattle cars. Do airlines really want fares to be that much more dynamic? There is enough opacity in how fares are created already I think it’d be a huge customer service problem forcing people to reserve a price for their ticket. This is buying airline tickets, not playing the stock market. Funny you should use that analogy, Nick, because it’s the same one that Cory Garner at American gave me. But he saw it as a positive thing. He wanted it to be like the stock market where prices change in real time depending upon demand. I don’t mind that as long as there’s a way to freeze for a certain period while you consider. This isn’t the same thing as buying stock, that’s for sure. Really?! Yikes. Unless they’re going to force people to be logged in this’ll be very customer unfriendly. If I search for tickets nine months out twice within an hour the ticket prices shouldn’t change. Anything else and this ends up being very customer unfriendly. Brett- I really don’t see “freezing” a fare for a certain amount of time to be much of a problem. I know for a fact Qik has the ability to file a fare quote and leave a time limit for ticketing. Would a 24 hour window be that much of a hassle for rez/fare analytics to deal with? Cooper – It’s not a technical issue. It’s more of a policy issue. You can certainly hold a fare for as long as you want technically, but that doesn’t mean the airline would necessarily honor it. If you “think” things are creepy then if you really knew how things work you would be aghast as to the consolidation of information on you by the various sites. Play with a browser add-in such as Collusion (works with FF and Chrome) and see how many cookies/info is shared about you. Whilst this does make sense I do think the initial supposition that people are loyal to an OTA is dangerous not the norm and any implementation based on this would therefore be risky. In my experience consumers are loyal to nobody because they know that they need to shop around to get the best prices, no OTA can be relied upon to consistently have the best price. So the problem here based on this is that people won’t be logging into the OTA site to obtain a price, they will just go from site to site not logged in seeing ‘not the best price’ than if they were logged in.